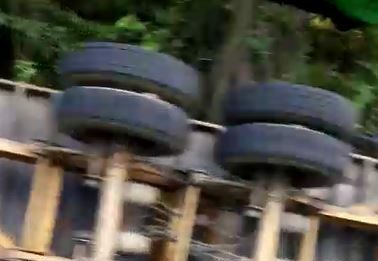 A container truck overturned near La Caye, Dennery, Wednesday as it attempted to negotiate a turn, police have confirmed. The incident occurred about 10.30 am, a law enforcement official told St Lucia Times. The driver, the sole occupant of the vehicle which was heading towards Vieux Fort at the time, was unhurt, it was reported. The overturned container truck created problems for the flow of traffic with police being deployed to the area to help deal with the situation. A video of the overturned truck was posted on social media. The driver said the corner pulling. Pulling my ***, they must learn to take their time. Is there any such thing as courner pulling nonsense,the fact is taking courner to fast your vehicle will run off the road it’s like the courners comes alive and chooses which vehicle it will pull. What are “courners”? Is this a new word? New term? What is it? Or what are they?